Don’t like typical stickers anymore? 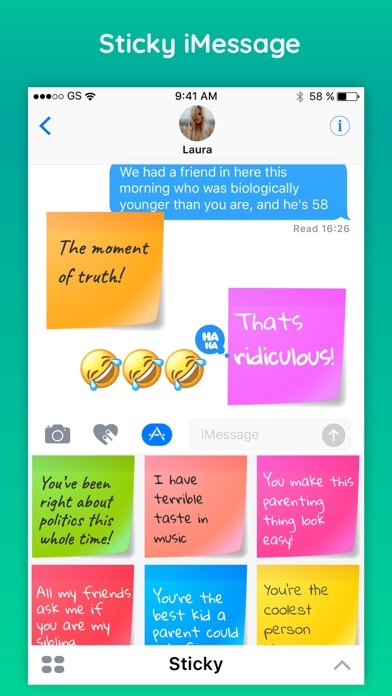 Sticky is the ultimate sticker pack to engage with your partner, friends & surroundings with beautiful everyday quotes & expressions. 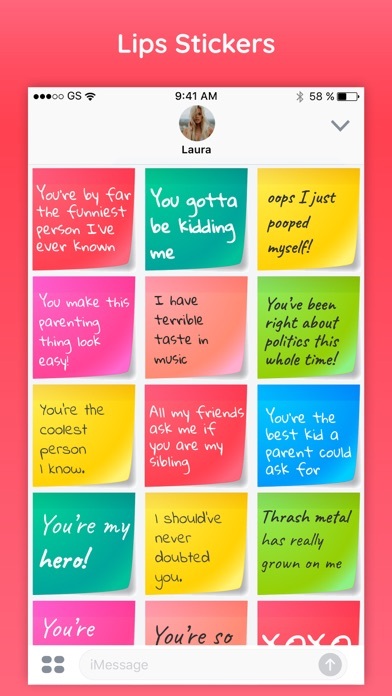 These stickers will keep you a little witty & sarcastic! 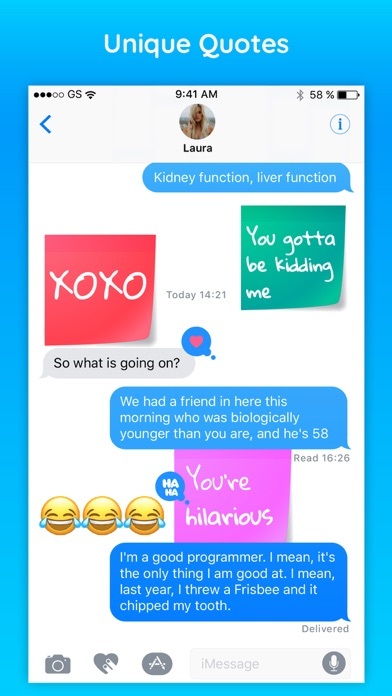 Keep your conversations going funny with these new Sticky quotes, texts stickers. 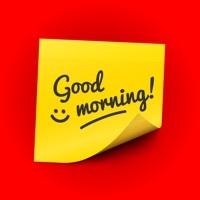 Featuring moments & lovely graphics and great expressions to decorate your chats with liveliness. These stickers will help you and your loved ones laughter, fun & most importantly together through your time. Place the stickers on bubbles, images, and even on other stickers. Stickers are designed for iMessage. Updates will feature more graphics and inspirational funny quotes or texts. ::: Quick tips on installing and using Sticker apps ::: • To access iMessage apps, tap the App Store icon alongside the compose field to see your most recently used iMessage app. • To continue browsing, tap the icon on the lower left corner which brings up the app drawer. From there, tap the plus icon to access the App Store for iMessage, where you can browse and download more apps. Here, you can also go to Manage where you can add your apps to your app drawer. • To use a sticker within a conversation, you simply tap to send or you can touch and hold to place them on top of bubbles, other Stickers, or even photos. It feels just like peeling and pasting a traditional sticker. • iPhone and iPad users (running iOS 10) and Apple Watch owners (running watchOS 3) can receive stickers. On Apple Watch, you can send any of the stickers you recently sent from iPhone or iPad. You can receive stickers on earlier versions of iOS and other platforms but they’re received inline as images and don’t support being pasted on top of text, photos etc. Keep in touch to receive all updates right on your device. Feel free to ask any query on [email protected] ! We would love to hear from you & appreciate your suggestions. So, let's make your moments even more amazing & stunning with Sticky. Download now & enjoy.